After that, they'll be charged a cancellation fee to compensate you for the fact that their late cancellation may have prevented others from booking your car at that time. This includes when the borrower returns the car earlier than the original booking period. If someone else books your car for the same time period, the original Borrower will not be charged as you have not lost any income. Note that cancelled time charges are subject to the same commission split as all bookings. 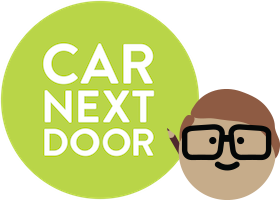 See What is Car Next Door's commission? for more information. If a booking for your car is cancelled you'll be notified by email and SMS. From time to time, a booking will need to be cancelled at the last minute because a borrower has a problem with the car or lockbox. If this cancellation is due to no fault of your own, you will still get paid the time income of the original booking in accordance with the cancellation policy above. Send your borrowers a welcome text - a welcome text makes borrowers feel secure and valued and is a chance for you to highlight any particular things the borrower needs to know about your car. This will help to prevent confusion and encourage the borrower to contact you if they have any issues rather than cancel their booking. You can keep a pre-written welcome text in your phone's notes app and copy and paste if for each borrower. Be available for your borrowers during bookings - it's important that we and your borrowers can get in touch with you in case a borrower has a problem during their booking. If you are not going to be available, make sure you switch your primary contact to be your back up contact. If a borrower cancels a booking within 24-48 hours of the booking, and I block out any of the time that they would have used the car, do they still get charged the cancellation fee? How do I book another member's vehicle?